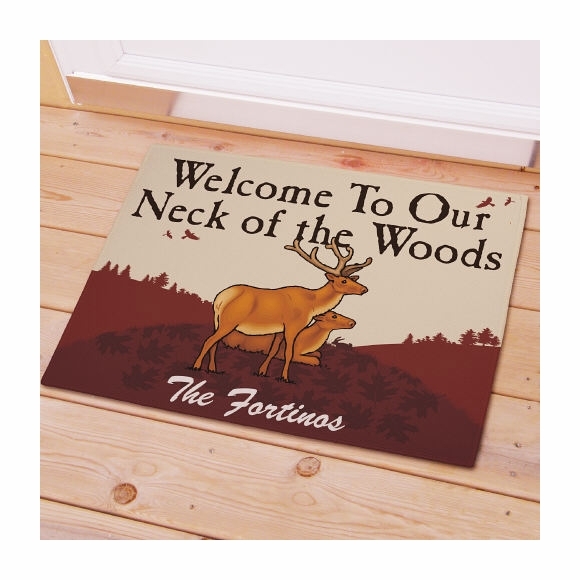 Personalized Welcome To Our Neck of the Woods Doormat expresses your love of nature and the outdoors. 18" x 24" fleece smooth mat is 1/8" thick with latex action backing and white bound edging. One line personalization with your name or message up to 40 characters (e.g. The Fortinos).